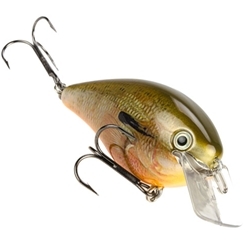 Strike King KVD 8.0 Square Bill was designed to the specifications of Bass Master's Classic Champ Kevin VanDam and is perfect for shallow water power fishing! The square bill design and unique action will constantly "wander" with erratic action while still running true. It also helps deflect off cover to entice strikes. The KVD 8.0 is the same as the rest of the KVD line up, designed with no internal rattles for a "silent" approach.